By providing this information, the Red Deer River Naturalists assumes no liability whatsoever for your safety or well being on the Natural Area. 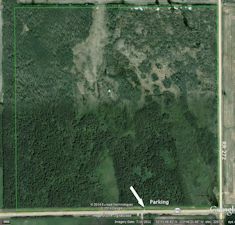 The land surrounding the Innisfail Natural Area is private land and must not be entered except with permission from the owners. 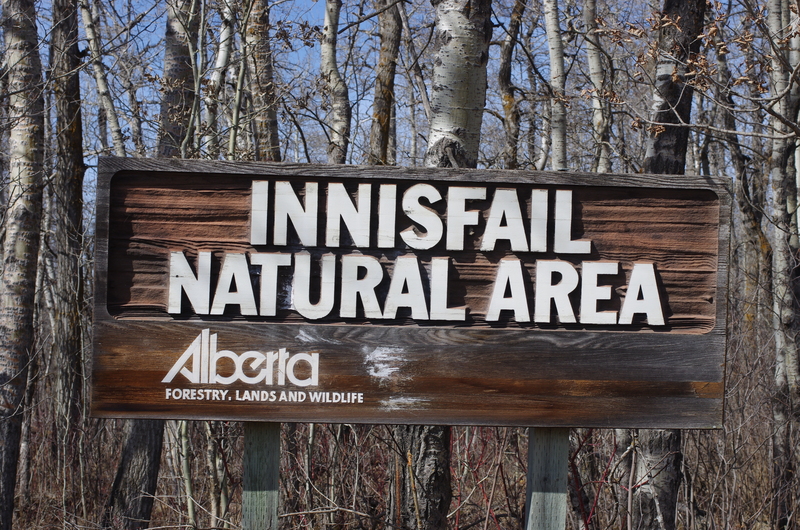 Entrance to the Innisfail Natural Area. Copyright 2014 W. Heinsen. From Innisfail go east on Highway 590. The natural area is on the NW corner of the intersection with Range Road 272. There is a small pull-off on Highway 590 about 100 metres west of RR 272. From Red Deer, go south on 30th Ave to Highway 590. There is a small pull-off on Highway 590 about 100 metres west of RR 272. Suitability for children: Use care in wilderness areas. Footwear: Hiking boots/runners in most areas. Definitely not sandals. Wet in spring. Hazards: The are old beaver runs in the southeast corner that are very deep. It’s best to avoid that area. The willows in that area are very thick, almost impenetrable. In the remainder, there are no special obstacles. 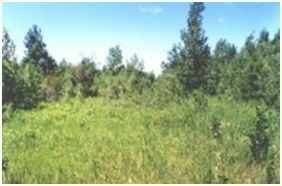 Features: Mainly aspen (Populus tremuloides) forest with some stands of white spruce (Picea glauca). It is good for song birds in May and June. 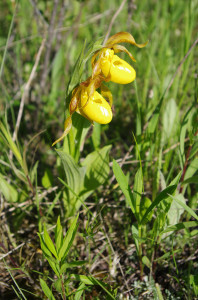 Yellow lady slippers (Cypripedium calceolus) bloom by the 100’s in late June – early July. Please do not pick or dig them up. Accessibility: The natural area is relatively flat. A rough trail leads from the parking lot into the woods, but soon disappears. This natural area makes for a very pleasant walk on a summer evening. 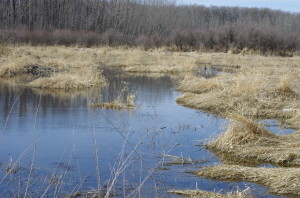 One of the meadow areas in the Innisfail Natural Area. The swampy area in the southeast corner is criss-crossed with beaver runs which are very deep. 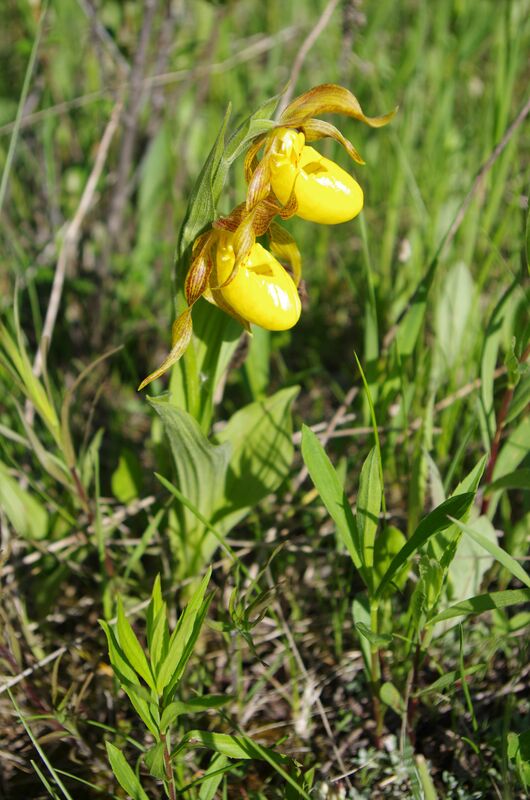 The Innisfail Natural Area is a reliable place to see the Yellow lady’s slipper. 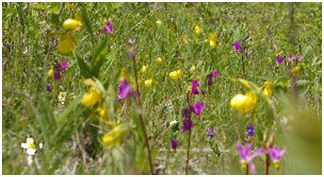 Meadows and the ditch on the east side support a large population of these colourful plants. Yellow lady slippers(Cypripedium calceolus), shooting stars (Dodecatheon pauciflorum), strawberries (Frageria virginiana), lily of the valley (Malanthemum canadense), and blue-eyed grass (Sisyrinchium montanum) are common. Several white-tailed deer and moose also make this home. Frog eggs. Copyright 2014 W. Heinsen. 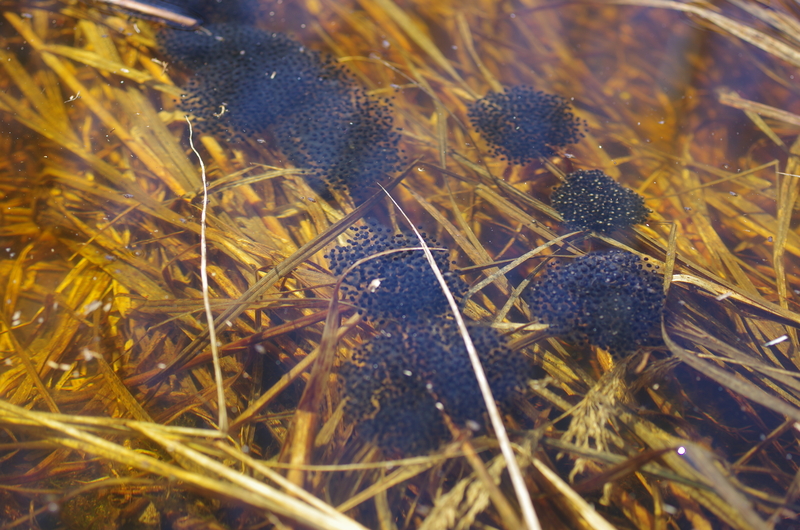 The Innisfail Natural Area is home to thousands of Boreal Frogs. They lay their eggs in any wet patch they can find, especially in late April. 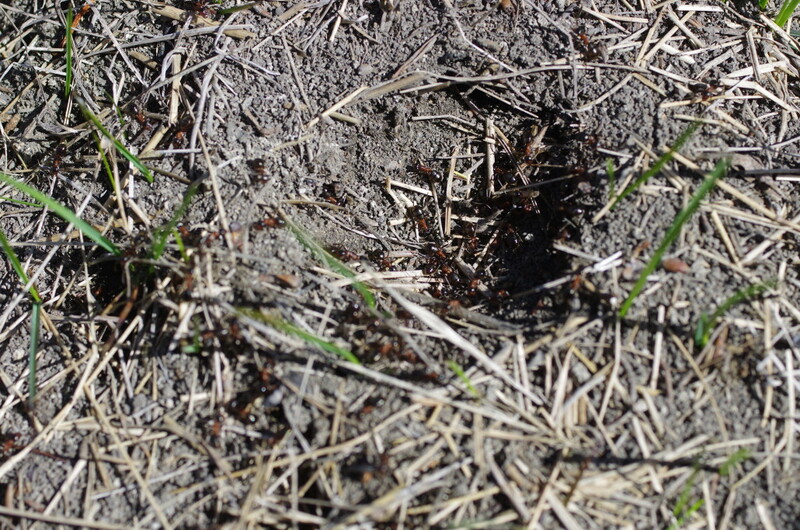 There are many ant hills in the Innisfail Natural Area. Both black and red ants make this area home. The abundant ants and other insects attract several species of birds. Please do not remove any survey streamers you may come across. They have been put there by the Red Deer River Naturalists to mark certain features. Red-winged Blackbird. Copyright 2008 W. Heinsen. 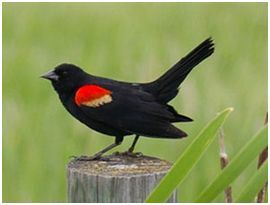 Red-winged blackbirds can be found along the swamp in the southeast corner.